214 pages | 1 B/W Illus. The anxiety over death persists in everyday life- though often denied or repressed- lingering as an unconscious worry or intuition that typically seems to compromise one’s feelings of well-being and experience in a range of areas; coming out often as malaise, depression, and anger in much conduct. If one accepts the cliché that life is preparation for death, we must accept that the lived experience of the dying body is not highlighted merely in obvious cases of deterioration such as in the ageing or diseased body, but in everyday life as a normal phenomenon. This book proposes that sensitivity to this dimension can empower us to develop creative relationships to the vulnerability of others and to ourselves as well. Part One lays the groundwork for a study of the ways the aura and fear of death recurs as a constant premonition in life and how people try to deal with this uneasiness. Part Two then goes on to apply this focus to particular concerns and problems such as dementia, depression, aging, retirement, and a range of anxieties, frustrations and aggressions. 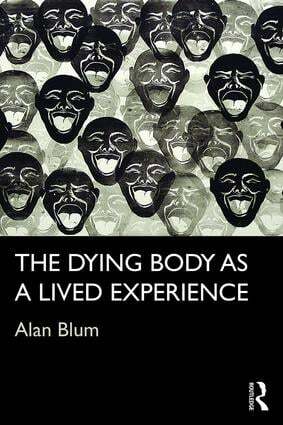 The Dying Body as Lived Experience will be of interest to a wide interdisciplinary audience in the health sciences, in the sociology of health and illness, philosophy, bioethics and in the expanding field of medical humanities. Alan Blum is Executive Director of the Culture of Cities Centre and Senior Professor of Sociology and Communication and Culture at York University, Canada. He is the author of The Grey Zone of Health and Illness, Theorizing, and The Imaginative Structure of the City, and co-author of On the Beginning of Social Inquiry and Self-Reflection in the Arts and Sciences.